At this years Junior World Championships Canada was lucky enough to have 2 boys representing in Moscow Russia. 15 year old Brenden Croft from Peterborough Ontario has been playing pool since he was about 4 years old coming from a pool playing family and has been mentored recently by Mario and John Morra. Then there is 16 year old Dean Cuillerier from Montreal Quebec. 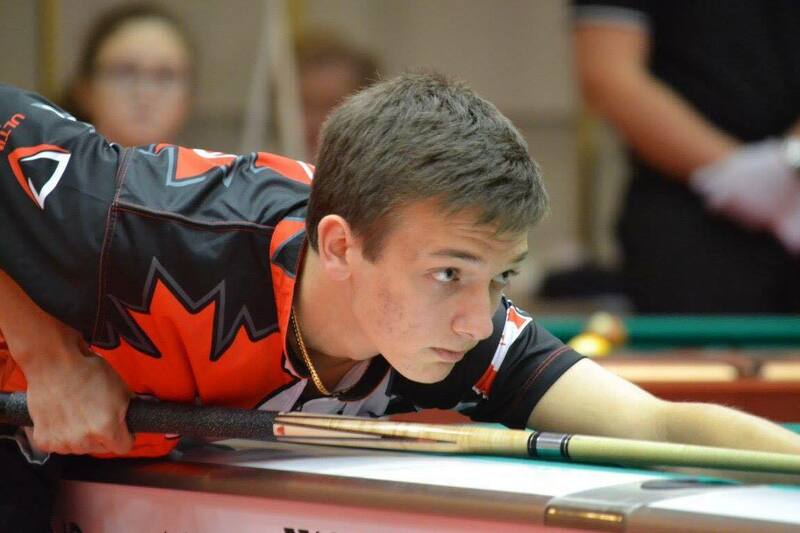 Canadian Junior Champion 2017 and multiple junior event winner of the ADBQ junior tour in Quebec. 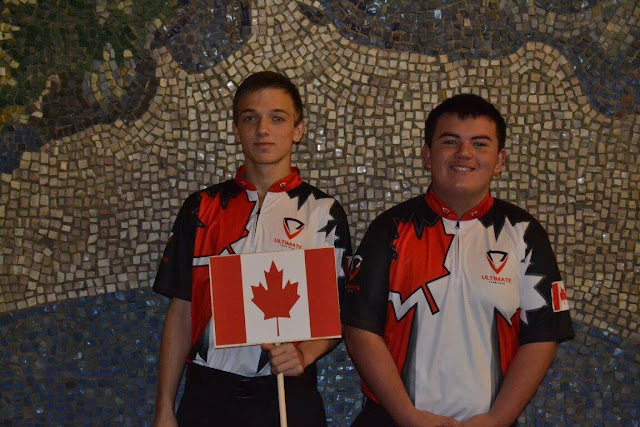 Dean has been mentored by Alain Martel and his dad Rodney (2016 Canadien snooker champ) who made the trip to Russia with them. Dean won his first match vs. Seo from South Korea and then lost 7-6 vs Roberts from the U.S. On the losers side he won his match vs. Smithers (USA) and then lost hill hill vs. Kalyaev (Ukraine). Brenden lost his first match 7-5 vs. Peterson (South Africa) and on the B side lost a heart-breaker 7-6 vs. Schultz (USA). The trip was a huge learning experience and both kids are looking forward to more major events in the future. 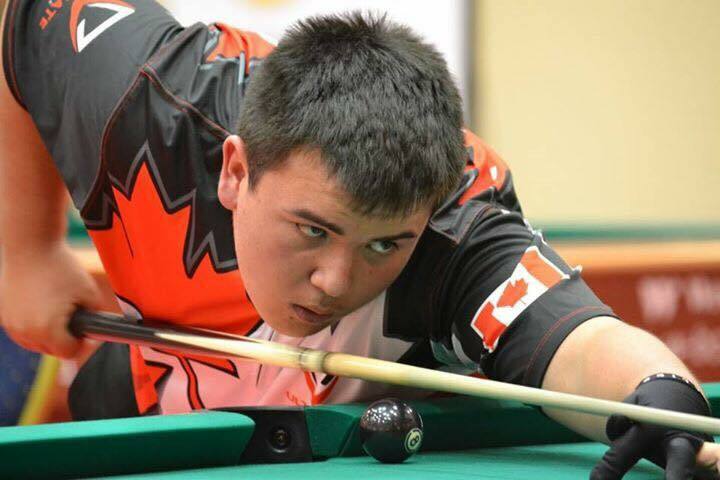 Brenden will be playing at the junior event at the Super Billiards expo in Philadelphia and also at the junior BCA nationals in Vegas.